Sydney [Australia], Jan 8 (ANI): World number two Angelique Kerber edged past Camila Giorgi of Italy in their closely-contested opening match of the ongoing Sydney International tournament here at the Sydney Olympic Park Tennis Centre on Tuesday. Sydney [Australia], Dec 3 (ANI): US Open champion Naomi Osaka has confirmed her participation in the upcoming Sydney International tournament beginning January 6. 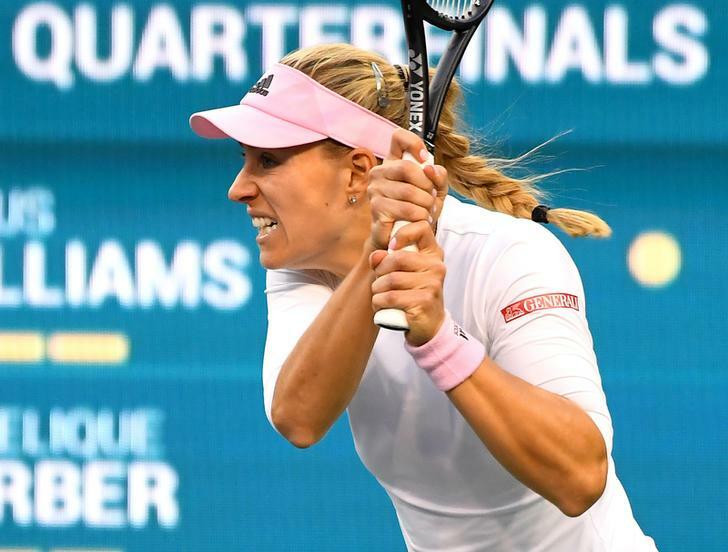 London [England], July 14 (ANI): Angelique Kerber lifted her maiden Wimbledon title after outclassing 23-time Grand Slam champion Serena Williams in the final at the Centre Court in London on Saturday. Paris [France], June 7 (ANI): World number one Simona Halep will aim to book her place in the finals of the ongoing French Open when she crosses swords with Spanish-Venezuelan player Garbine Muguruza in their last-four clash here on Thursday. St. Petersburg [Russia], Feb 3 (ANI): Reigning World No.1 Caroline Wozniacki was shocked by Russia's Daria Kasatkina in straight sets in the quarter-finals of the St Petersburg Ladies Trophy. Melbourne [Australia], Jan 27 (ANI): The top two seeds, Simona Halep and Caroline Wozniacki will face off in the Australian Open women's singles final on Saturday to win a first Grand Slam title. Melbourne [Australia], January 25 (ANI): World number one Simona Halep will take on Caroline Wozniacki in the Australian Open final, after battling it out with Angelique Kerber in the semi-finals. Melbourne [Australia], Jan 25 (ANI): Denmark's Caroline Wozniacki has advanced to her first Australian Open final over Belgian Elise Mertens here at the Melbourne Park on Thursday.